That morning, after having breakfast at the hotel, we got on the car with our guide to buy the tickets. 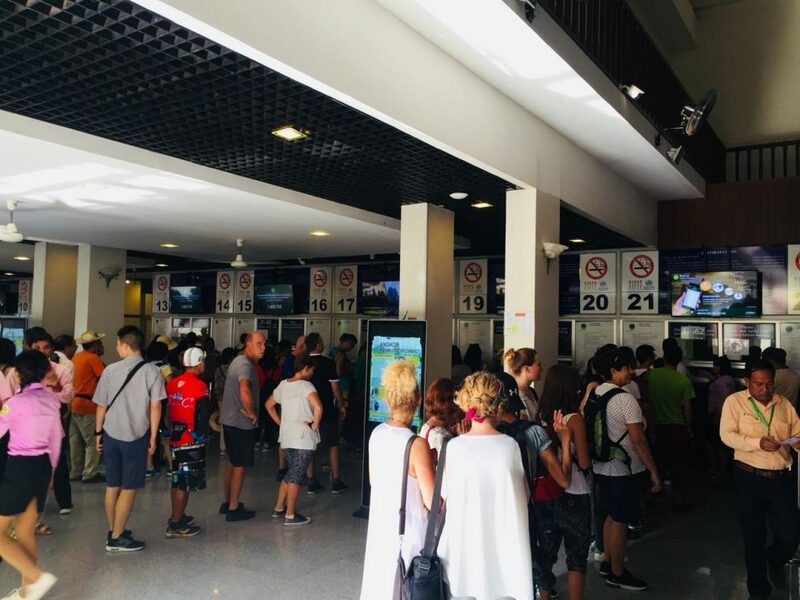 The tickets are being sold in separate place 15-min away from the main attraction. At first, we didn’t understand why it had to be located so far; however, once we arrived, we fully understood. The number of visitors per day was so huge that the local government had to move it from inside the complex to outside. We got in, paying for our ticket and were ready to go. There were three types of ticket: one-day, three-day and a week. 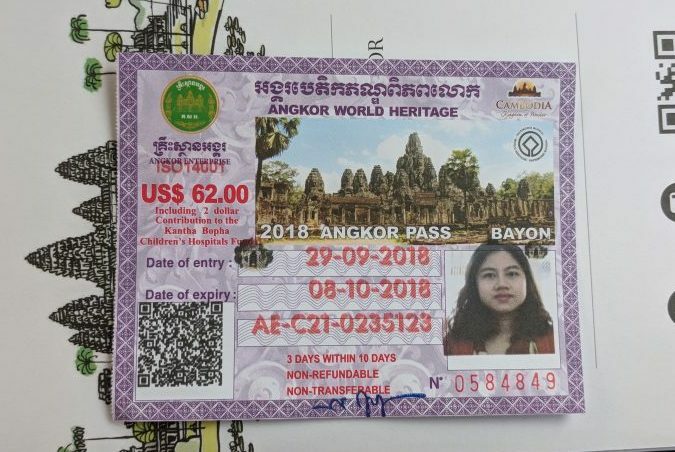 On every type of ticket, your picture will be printed on it for security. 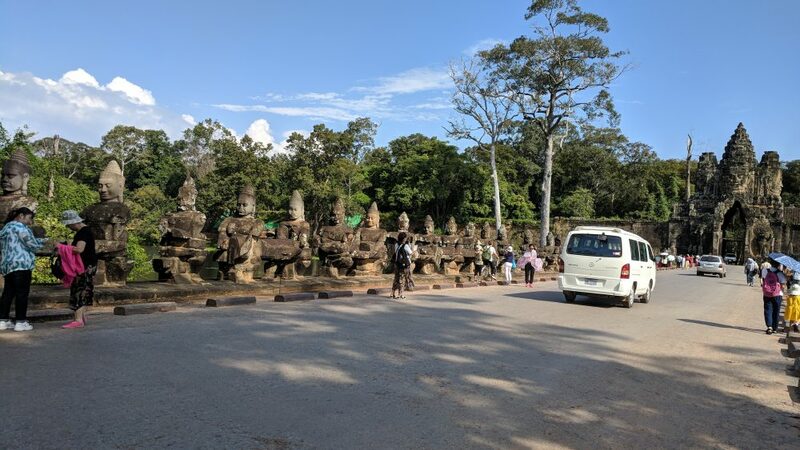 Since the Angkor Complex is huge – 162.6 hectares so we have to use either car or tuk tuk to move around to avoid the heat and dehydration. 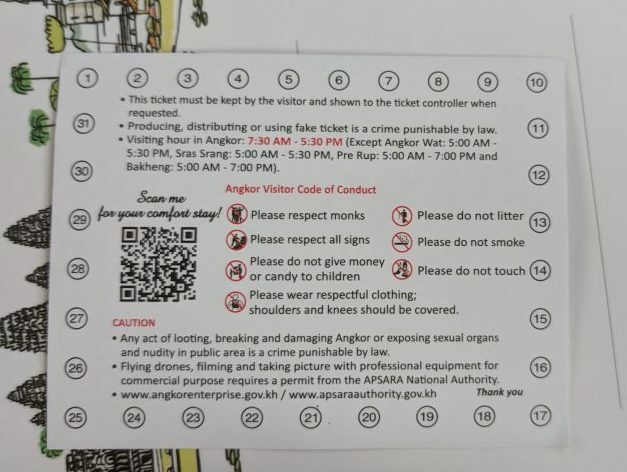 There are also many ticket checkpoints to check up the tickets before getting to any attraction. 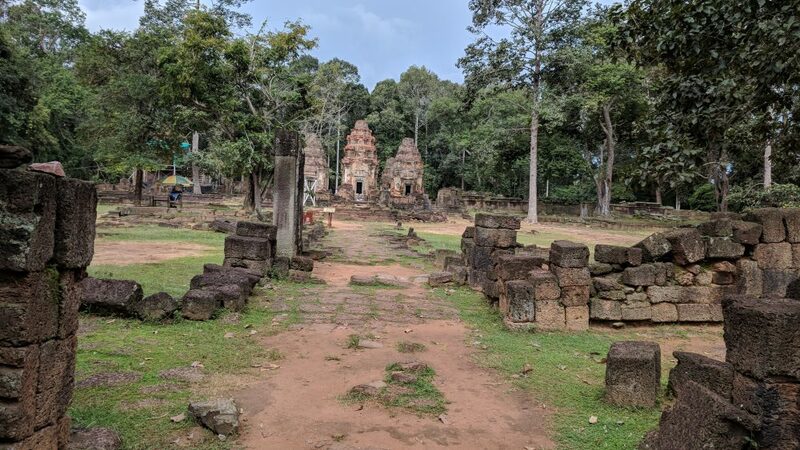 The complex was built inside the jungle so the first impression was the whole place was so green! We took some pictures of the entrance before getting in. 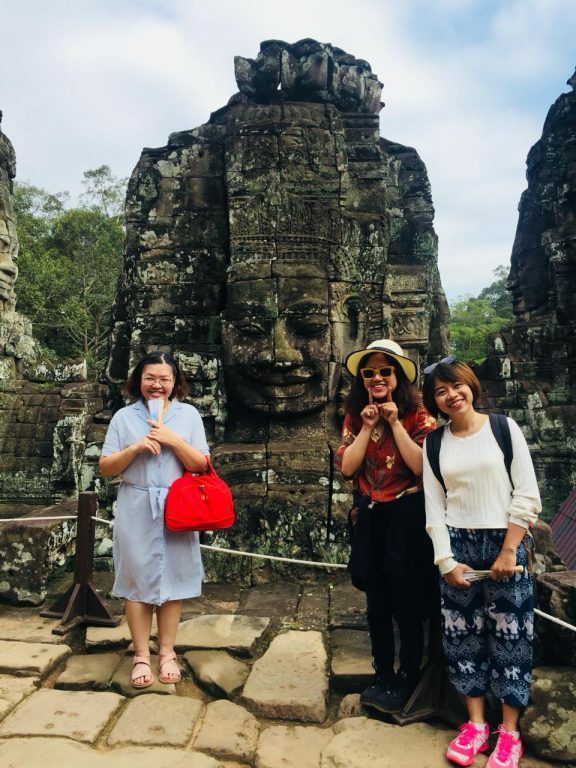 First stops, we visited Angkor Thom and Bayon Temple. We took for ourselves some cool pictures. 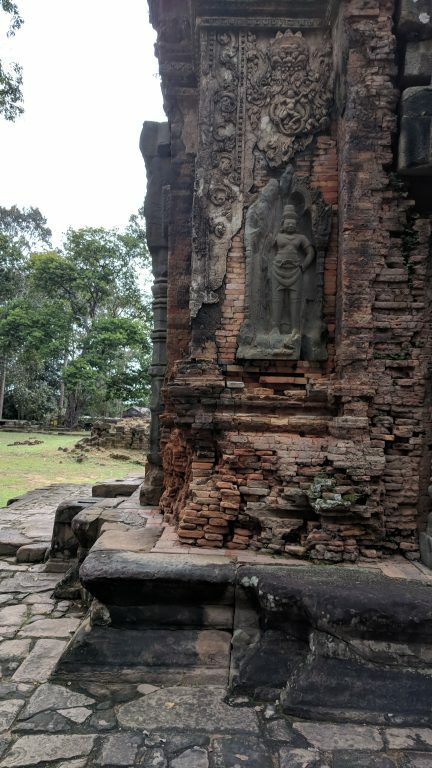 Some of the coolest places are where you stand face-to-face with one of the Buddhist and the Buddhist with the broadest smile. Remember to bring with you a lot of water as the trip requires to walk under the heat. 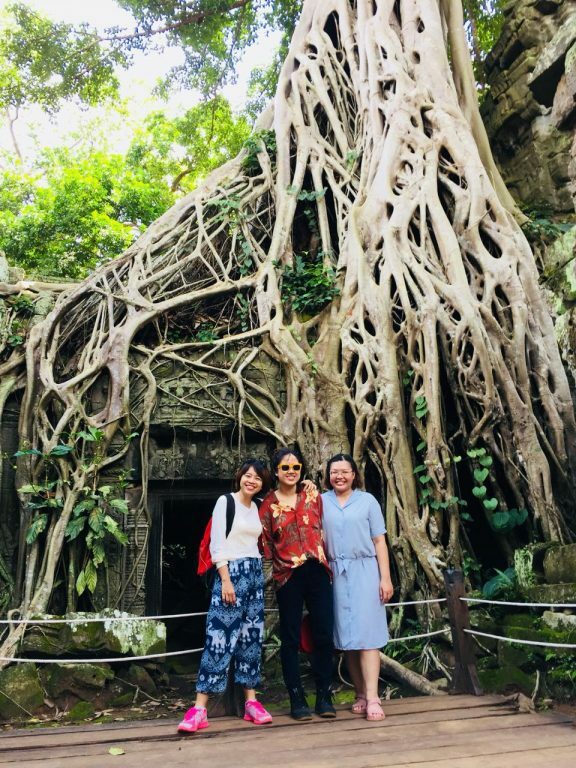 After that, we transferred by our van Ta Prohm – one of the old temples inside the complex but got famous thanks to Angelina Jolie and her film Lara Croft: Tomb Raider. Lunch was being served after 4 hours of walking and listening about the history and religion. 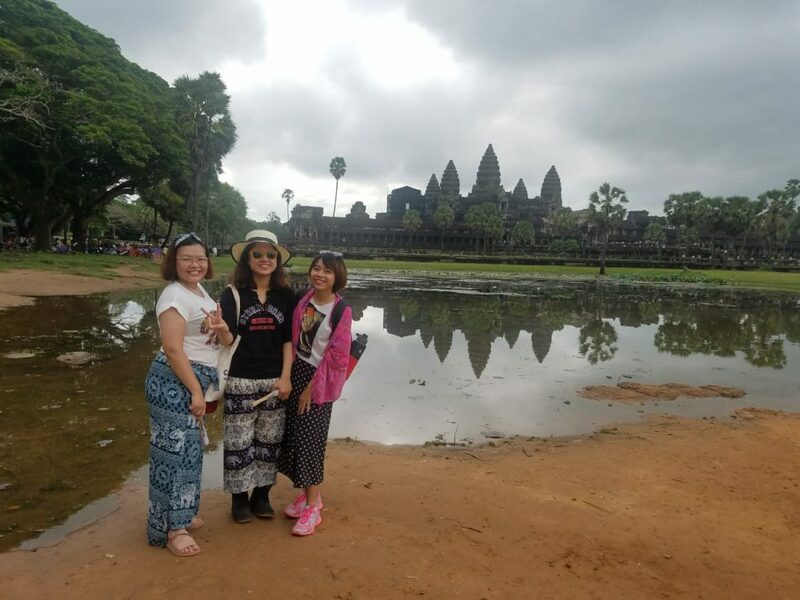 We were all excited for the next thing – Angkor Wat itself. 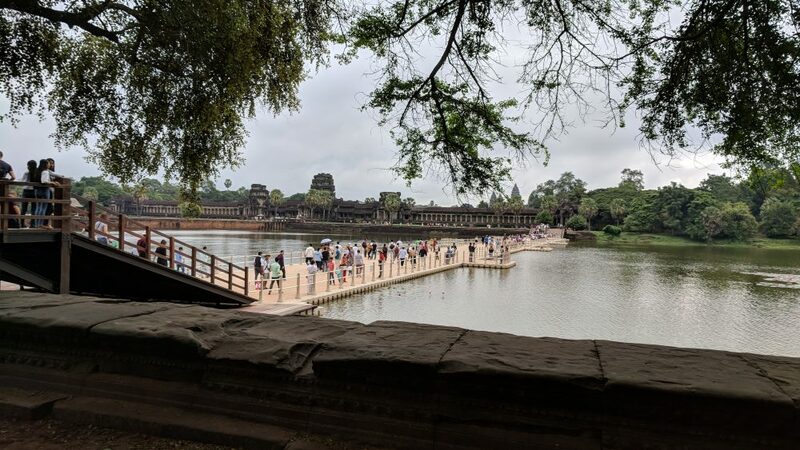 Everyone had to use the floating bridge funded by German government as they are trying to preserve and maintain the condition of old bridge. 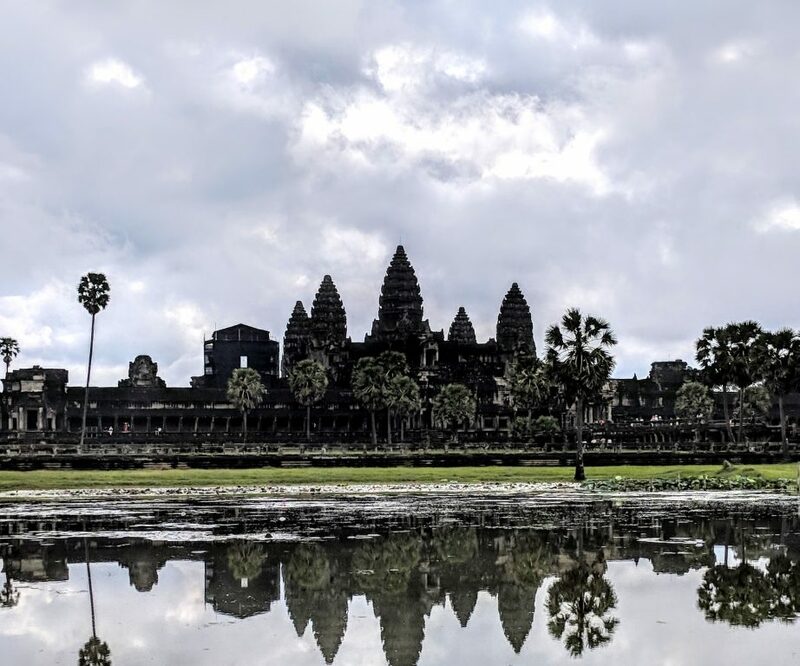 As anybody can expect, Angkor Wat is marvelous and we had the chance to listen to a lot of cool stories and take great and some goofy pictures as well. We came back to our hotel later that day, exhausted but amazed by what we got to see. After gaining our strength back, we headed to the night market which was 10-min by walking and 3-min by tuk tuk. 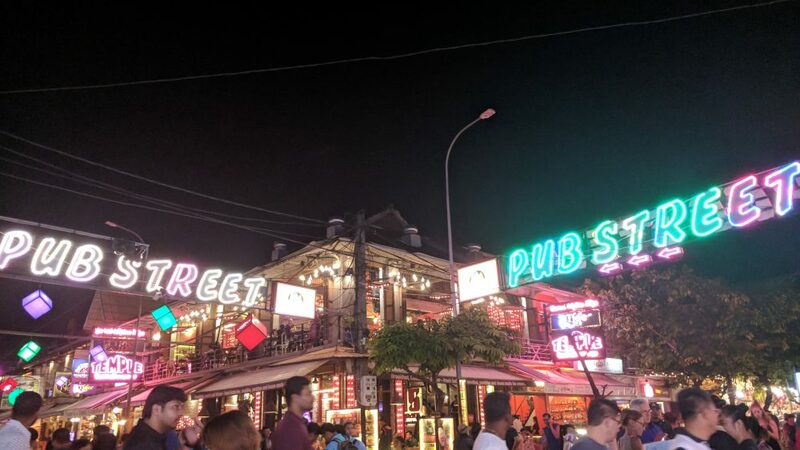 We had one fun night trying local drink, food and buy ourselves some small souvenir to bring back home. We ended our night going back to our hotel to ready for the next day. 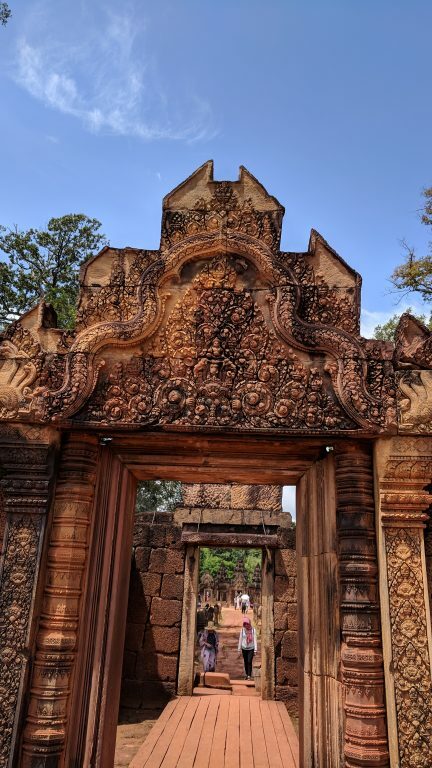 Today, after having our breakfast, we headed straight to Banteay Srei since we had already bought our tickets yesterday. 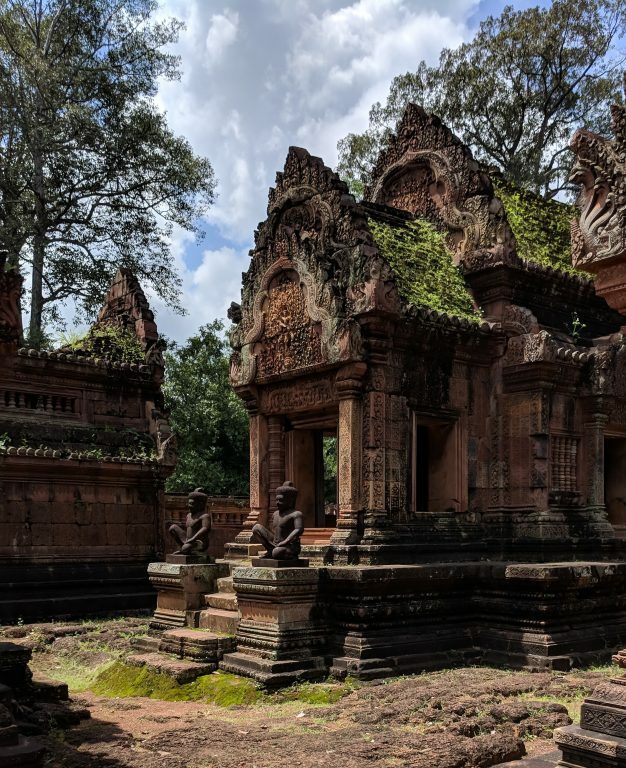 Banteay Srei is the small, pretty temple that by our guide was built solely by the hand of women workers. Afterwards, we visited Rolous Group – the collection of small temple in various location. 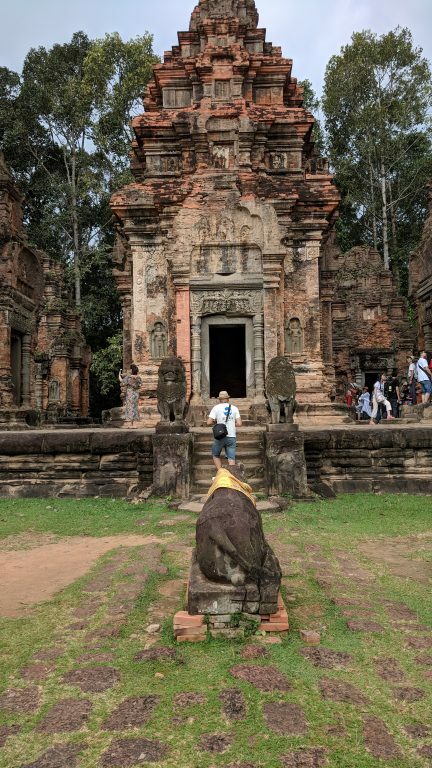 The temples were a bit ran down and not at its best condition. It’s understandable as some of it was from the year of 877 or 879. 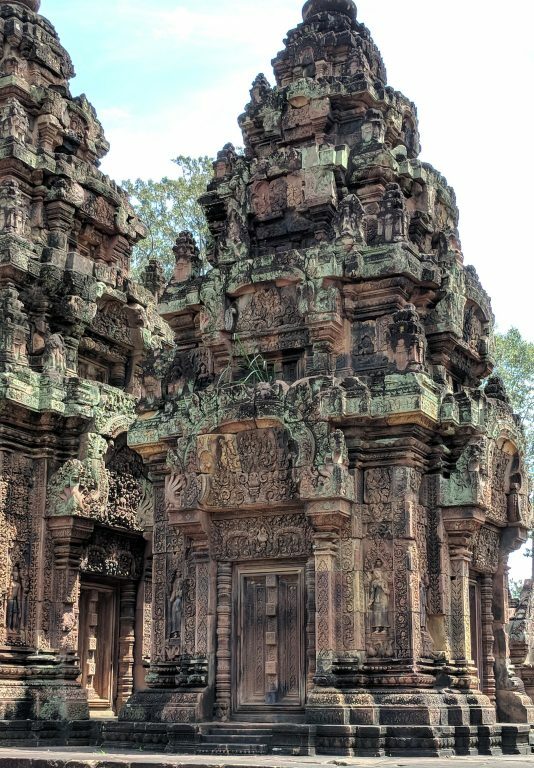 Still, we can all be amazed by the beautiful sculpture and carve on the walls, stones and pillars of the temple. After that, we have the late lunch then coming back to our hotel. We rested a bit before going to the swimming pool to chill out. 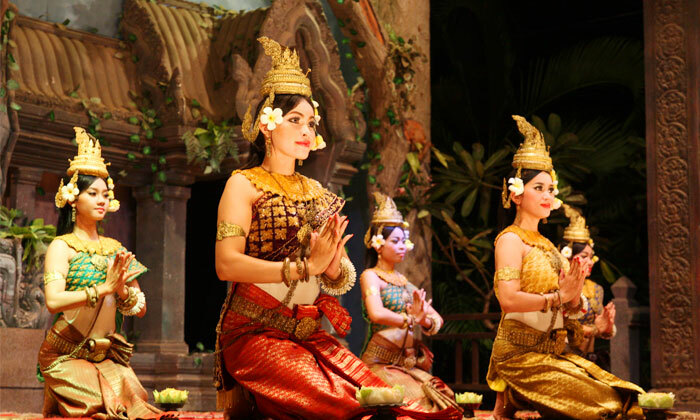 For dinner, we enjoyed it at local beautiful restaurant with the highlight being the Apsara Dance – the traditional dance of Cambodia.